The Downing Clinic does not treat cancer, but offers immune and nutritional support, along with detoxification for patients who have cancer and those undergoing therapies for cancer. Often health problems are related to deficiencies in essential fatty acids. The Downing Clinic identifies and treats these issues. Using both oral and IV therapy, The Downing Clinic helps sooth the stresses of surgery. We recommend nutritional support both pre and post-surgery. There are additional therapies we can recommend to speed wound and surgery healing, reduce pain and support overall recovery. This common problem has been successfully identified and treated in many patients at The Downing Clinic. Extended periods of stress raise cortisol levels which can cause damage to the body in a variety of ways. Learning how to manage stress and following a natural therapeutic approach can minimize damage. 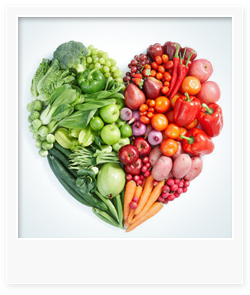 For years, The Downing Clinic has helped patients feel better by testing for and treating nutritional deficiencies. We have a wide selection of nutritional supplements and treatments that are all physician-selected and reviewed to ensure the best possible quality.